Ahhhh, Fall…changing colors, cool temperatures, pumpkins, trick-or-treat, turkey dinner, family and lots of red wine. As the season changes and we move indoors it becomes the time to get together with friends. The Nectar wineries are busy hauling in the 2011 harvest creating the perfect beverage for you to enjoy in 1-3 years. 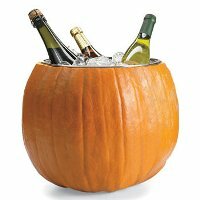 While this year’s grapes become a future celebratory drink, we hope you’ll enjoy the October events at Nectar. Enjoy life with friends, drink happy. Join us Friday and Saturday (10/7,8) as Northwest Cellars visits with new wines, bubbly tasting, and special discounts. Get 15% off of NW Cellars bottles and 25% off of mix and match cases. THURSDAY – Join us as we welcome Molly Allen of KZZU every Thursday in October. Enjoy a selection of $5 glasses of wine, sparkling wine mixers, prizes, and 1/2 price appetizer plates with the purchase of a bottle. 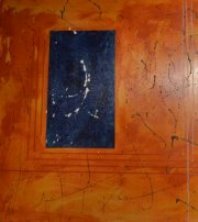 FIRST FRIDAY – This month we are featuring the abstract art of artist Jeffrey Lloyd. Jeffrey’s painting style develops into an array of shapes and layers. The inspiration for his paintings are spiritual and emotional, having to do with faith and friendship. The occasional life experience is also evident giving a realistic interpretation to his paintings. Accompanying Jeffrey’s art is the amazing musical styling of Darin Hilderbrand. Artist reception starts at 5pm and music begins at 6:30. Two of my favorite musicians are playing at Nectar this weekend. Friday, enjoy the music of Karrie O’Neill, Saturday we welcome Michael and Keleren Millham of Sidhe. Music starts at 6:30. Bring a date, bring some friends, start with a glass, stay for the whole bottle. WEDNESDAY – A rare Wednesday open for the annual Project Beauty Share Beauty Bash. Project Beauty Share is an initiative to collect cosmetics and beauty products and distribute them through local agencies to women of all ages whose circumstances do not allow them to afford these products. The Beauty Bash is $10 and gets you a glass of wine, light bites and a special gift. Donations are encouraged. Please visit Project Beauty Share for a list of the needed items. FRIDAY / SATURDAY – The “reserve flight” returns. Taste through 5 of our highest end wines. The $10 tasting features wines that are $40-50 and are rarely available for tasting. Treat yourself to something special. Saturday, stop by for music with Ken Davis; 6:30-9:30. SUNDAY – Our second wine and dine event is going to be a fun educational class pairing 8 wines with various appetizer dishes and small plates. Learn the characteristics found in wine aromas and flavors with this fun and unique exploration using common scents and flavors found in your local grocery store. Whether you are well versed in wine or are just beginning your enological journey, you’ll have fun and come away with new information on how wine is made, what to look for, how to wine taste, and basic food and wine pairing techniques. THURSDAY – The final Thirsty Thursday with KZZU’s Molly Allen. We’ll have prizes, drink specials, bottle specials and more to help you with your Halloween weekend. SATURDAY – Join us for a wine tasting painting class with Tipsy Muse. We’ve finally rescheduled this event where you can paint the Tuscan Landscape while enjoying a glass of grapes. The three hour, artist guided class is a fun way to explore your creative side.